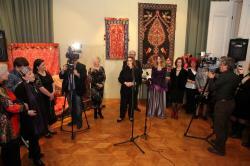 An exhibition dedicated to Azerbaijani art solemnly opened at the State Museum of Oriental Art in Moscow on April 11. The exposition "Harmony of space. Traditional Art of Azerbaijan" aims to introduce art lovers to the peculiarities of traditional interior in the houses of Azerbaijan of the 19th - early 20th centuries, the role of carpets and textiles in creating an amazing harmony of space. Addressing the event, the director of the State Museum of Oriental Art, Alexander Sedov, named the Azerbaijan Carpet Museum one of the best museums in the world, Azertag reported. Alexander Sedov stressed that the State Museum of Oriental Art has provided its halls for the exhibition. 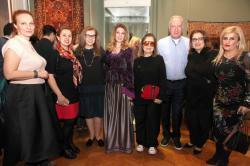 The culture attaché of the Azerbaijani embassy Nigar Ahundova reminded that this is not the first Azerbaijani exhibition held at the Museum of Oriental Art. Earlier there were exhibitions of artists of Azerbaijan. 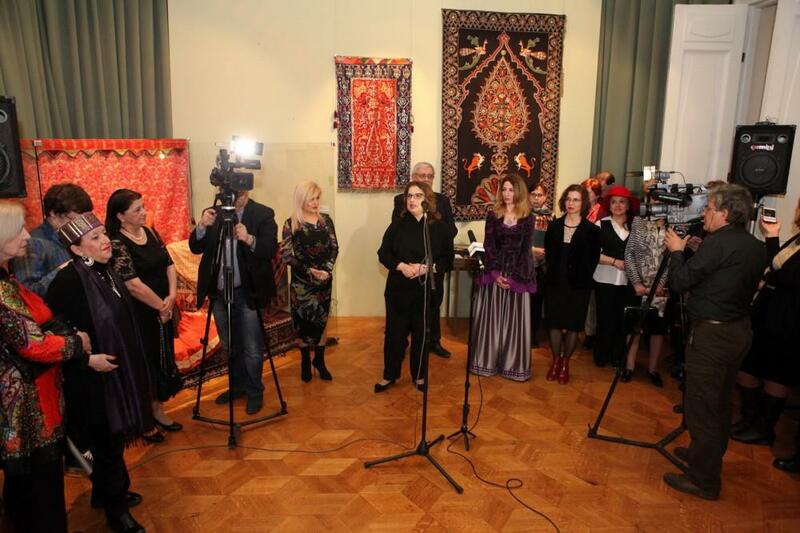 She stressed that the State Museum of Oriental Art pays special attention to Azerbaijani culture. The museum's expositions feature exhibits related to Azerbaijan. The head of the department of museum work and cultural wealth of the Ministry of Culture of Azerbaijan, Azada Huseynova highlighted the successful development of cultural relations between Azerbaijan and Russia. Azada Huseynova stressed that the exhibition "Harmony of space. 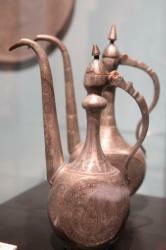 Traditional Art of Azerbaijan" was created on the basis of two museums. She stressed that the 19th century Bakhmanli carpet is the landmark exhibit which in 1918 laid the foundation of the museum's collection. 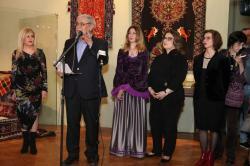 The director of the Azerbaijan Carpet Museum underlined that Baku and Moscow museums are linked by close cooperation. 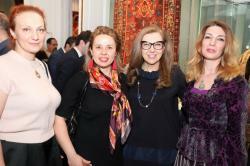 She invited the Museum of Oriental Art to hold an exhibition in Baku. The exhibition curator Maria Filatova addressed the event. "Many great people were born in Azerbaijan and scattered around the world. I also spent most of my childhood in Baku. Then, I did not come for a long time. In 2001, after joining the Museum of Oriental Art, I made my first trip to Baku. I saw this city again, met the director of the carpet museum Shirin khanum and we became friends. I am grateful to the fate that my personal preferences and work were connected," she said. The exposition "Harmony of space. Traditional Art of Azerbaijan" features more than one hundred objects of decorative and applied art from the collections of the Azerbaijan Carpet Museum and from the funds of the State Museum of Oriental Art. The museum visitors have a chance to enjoy exhibits from the rich collection of the Azerbaijan Carpet Museum, associated with the wedding ceremony, integral elements of the traditional dowry as well as Azerbaijan's traditional headscarf kelaghai. 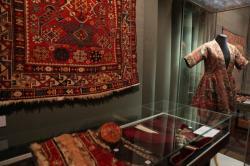 A special part of the exhibition is dedicated to art works related to beliefs - from prayer rugs to traditional amulets. The exhibition will last until May 12.